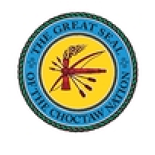 The Choctaw Nation of Oklahoma (CNO) is interested in having your company locate in Southeast Oklahoma. CNO offers incentives in addition to the state and federal incentives on a per job basis when hiring Choctaw members. CNO is also willing to discuss partnering opportunities with companies with proven track records. Investments in our Native communities through economic development and job creation bring benefits to the Choctaw Nation and the State as a whole. We are proud to contribute to the economic health of our communities by implementing innovative economic policy and removing barriers to economic development. The strategic decisions we make directly impact our ability to provide programs and services to our tribal members, including education, health, and programs that help develop a Nation that is growing with pride, hope, and success!